A burden is something that is carried; a load. 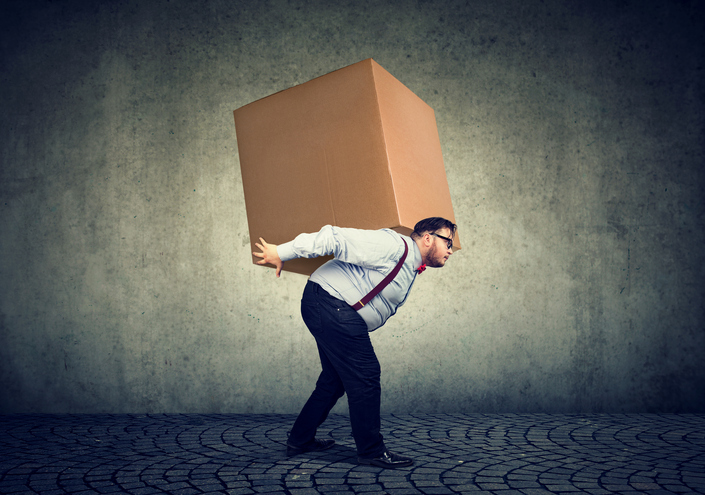 The strong man carried the burden as if it weighed nothing. The donkey moved slowly because of the heavy burden on its back. A burden is also something that is difficult to deal with. The burden of supporting a family was difficult when the father lost his job. The burden of his childhood memories made it hard to sleep at night. Sorry to burden you with my problems. In the movie Beast of Burden, Daniel Radcliffe plays a mule (a drug dealer) who has problems delivering his drugs. This could mean trouble! Watch the trailer. There are other meanings of burden.